Finland, officially the Republic of Finland, is a North European sovereign state. It is completely ruled by laws, and everything is strictly regulated, since long time ago, so by obeying their laws, they created the state where, even with cold temperatures, Finnish people are one of the most satisfied in the world. Like the most of Scandinavian countries, the law is strict regardless. For the economy to be stable, people need to be happy. This state creates its laws by itself since 1918. They are loosened where there should be, and strict where they must be, so Finnish people have almost nothing to be concern about. When talking about the critical point in the developing ‘Utopia like’ state, it must be mentioned that during the 1990’s they hit economical bottom inside country, by poorly judged macroeconomic state of the country, but shortly after, by loosing up some taxes, and laws, country made its economic stability, not 5 years after. Growth and increase of this nation wouldn’t be possible if there were not for Nokia, which is the main source of income since 1980’s. They slowly increase taxes by just a bit, and their steady economic growth was inevitable. Now, it’s a modern country, where, even though almost everyone plays by the rules, they can’t all be satisfied. Finland is the country in which more than 90% of people use internet 24/7. Having a .fi domain name is a pretty good step forward for you, as an individual and more than just one step it’s a place to spread your business. This country is filled with tourist, and they all go there to see Aurora Borealis or better known as Northern Lights, which are the natural phenomenon and the reason why this country can live just from tourism. If by some luck you find yourself in Finland during the daytime, don’t despair, there is much more to see other than Northern Lights. Being a child or not, you may even want to see and ask Santa why didn’t he write you back, since your childhood years? Who can register a .FI domain name? Do you need a Trademark to register your company name? What is minimum and maximum for registering a .fi domain name? How long does it take to register a .fi domain name? Can I transfer my domain name or can I remove it from the Registry? When choosing a .fi domain name, which characters can I use, and their length? How to host my new .FI domain name? In 1986., Tampere, Finnish University of Technology, got the request to register Top Level Domain Name by Finnish Unix Users Group. This application was accepted, and since this time, the world got, yet another TLD name. At one point, last year, while local present was needed to be able to have a .fi domain extension, it was a great news all around the world that a .fi domain name will cease to exist, and that everyone who had a domain with this extension, should transfer their domain names elsewhere. After just a few days, Finland decided to open its borders for domains and since September 5th last year, 2016., everyone in the world got the right to be an owner of a .fi domain name. When talking about past of the .fi domain names, it’s worth mentioning that, in the first years of domain using, the law was so strict that it was used just for the company names and trademarks. So after a while, companies started to purchase Top Level domain names, just to stay ahead of the law. Registry that is in charge for this Domain Name is FICORA, which follows the rules to the letter. For the same reason, From Finnish National Registry they can assure owners (or/and potential owners ) that their domain names are the most secure and reliable domain names and that they sell them to Registrars that guarantees the highest level of quality for customers. Their company motto is ‘.FI – The most reliable domain in the world ‘. A .FI domain name can be registered by anyone – person or business, and the requirements for registering this domain name is minimal. For sites that are non-commercial type are just a date of birth, depending on Registrar, it may be adding your ID number. For businesses is company ID number, and that is all you’ll need to register a .FI domain name. – All the contact data for the Resellers and Technical support, entered by a private person will be removed from FICORA database. No, you don’t need a trademark to register a .fi domain name. Having the strict laws for everything, they also have them for domains, so you won’t need a trademark to register your domain name in Finland, their laws are made in that way, that if you do register your business, no one else can make a trademark from your business, so no one can make profit of your idea, modified, or in any other way. Bare minimum, as for all the other domain names is 1 ( one ) year. Just the right amount of time to push your business, and be heard in a country so far north. The maximum is 5 ( five ) years, and yet a better choice to have your mind at ease, and not think about renewal for whole five years. Some Registrars offers additional services if you choose to register your domain name for longer periods. Depending on Registrar your domain will be bought they will tell you how long do they need to register your domain name, but as for the Registry ( FICORA ), they promise a period up to 3 ( three ) days to register your domain name so you can start using it. Yes, transferring domain is possible, and not as troublesome as once was. If you have a domain name and you want to transfer it, you will need an authorization code, and the person who is willing to buy it will also get one. This email, which contains the authorization code will be sent to you and the other email goes to the person that you want to transfer your domain to. The third email goes to National Registry. When you open your email and click on the verifying link, you accepted the transfer, when the new owner clicks on his link from the email he/she got, they accept to be the new owner of the domain name. As soon as the Registry process this change, the transfer is over and visible in WHOIS database. As for the removing your .fi domain name you can simply choose to remove it before the expiration date, which is also done with an authorization code. You’ll surely get a lot of help from your chosen Registrar. The important thing about verification key is that it’s valid for 30 days only, and that is a time frame in which you’ll be needing to transfer or cancel the transfer of your domain name. This is similar to most Registry’s, with just one small difference. Minimum is 2 ( two ) letters or/and numbers. By that, it’s same like with other extensions: letters ( big or small ) from A to Z, and numbers from 0 to 9. By the other character that is allowed is a hyphen ( – ) and just that one, the lower one ( _ ) is forbidden. We came to the maximal number of characters, which is 63 (sixty-three), and the exception that was once limiting real names, Finnish letters like ä, ö, å, etc…are now allowed when creating your unique domain name with a .fi extension. When wanting to buy a domain name, it is best that you do it with your National Registrar, but whatever you choose, you need to have a hosting plan to go with your domain name. Hosting companies provide space on a server where you store all the information you want to be on your Website. In most cases, people buy hosting services at the same place where they keep a domain name. In that case, everything is in one place. In many cases, big companies, don’t want to think about domains, hostings or anything to do with computers, so it is sometimes much easier to buy a big package at once. Why should I buy Finland domain name, and does it have any meaning? It’s been already said that Finland is ruled by strict laws, which are written a long time ago, like no other country, their lawmakers try to stay ahead of their time, looking in advance to predict what changes may happen in the country. Before any crime can happen, the law can predict crime, thusfore no crime couldn’t be committed on the certain subject. Because of this new statute every domain holder that was in question during the summer of 2016. Now, by the quoted text we can see that they took domain name business pretty seriously. Not even one domain name could not be registered before they established essential rules by which everyone can be involved. During that summer they lost a lot, selling domains by strict rules only within the country. Then, they started selling them all around the world and still, the promotion was their second rule of trading, but protection was still the first. As soon as big companies heard about so secured domains, they started buying Finnish domain names, and with that, they became well known for fast internet traffic, and secure domain names. Having all that traffic, smaller businesses hurled to buy their own secured piece of ‘’Icy Land’’, where surely at one time or the other, you will need some of their services, either being there or just using their domain name to promote your company. Not long after, having a .fi domain name became available for everyone, and people wanted to have it, some even just for the sake of it. Anyway, they got back their customers and remained to keep the same level of security, obeying the letter of law like they always did. .FI extension does not have any special meaning, except that represents Finland as a country, but think it through, and you must find some domain name that fits you just fine. What are payment options, when buying a .FI domain name? Payment options are regulated by the Registrar where you decide to buy your domain name, but for the promotion of a .fi domains, prices are pretty low. Keep in mind that just by buying a .fi extension can cost you so little and in return, you will get the most secured domain name, and if you buy them for more than one year, prices go lower when buying few years at once. Basic information buyer left when ordering the domain name, and the exact description of what the new owner of the domain is paying for ( in this case – registration of .FI domain name, ID protection and hosting services, etc.. ) , currency in which he choose to pay, and the way the invoice should be pay in ( PayPall, Bank Transfer, and payment with any major credit card ) those are the basic means of payments, number of Invoice and email address where receipt should be sent to after realization of transaction. AreIndividual .fi domain registrations allowed? .FI domain name can be registered by any one – person or business, and the requirements for registering this domain name is minimal at least: Tax number, or Registrar’s ID number, and for the rest of the private users just first and last name. Are company or legal entities registrations allowed for a .fi extensions? Yes, they can register a .fi domain name. For sites that are non-commercial type are just a date of birth, depending on Registrar, or just companies ID number. For businesses is company ID number, and that is all you’ll need to register a .fi domain name. Are there requirements, documents, and information needed to register a .fi domain name? No, you don’t need any special requirements for registering a .fi domain name. What is the registration term allowed for a .fi domain names? Minimum for a .fi domain name is 1 ( one ), and it goes up to 5 ( five ) years. How long does it take to register my new .fi domain name? Depending on a register, they allowed themselves time to up to about a month, but nowadays, it’s possible to register a .fi domain name in about 24 hours. What are the characters and their length when registering a .fi domain name? This is similar to most Registry’s, with just one small difference. Minimum is 2 ( two ) letters or/and numbers. By that, it’s same like with other extensions: letters ( big or small ) from A to Z, and numbers from 0 to 9. Only other character that is allowed is a hyphen ( – ) and just that one, the lower one ( _ ) is forbidden. Is there a trustee service when it comes to a .fi domain names? For now, there still is no trustee service for a .fi domain names, but the only required information is your first, last name and valid email address. How do I host my new .fi domain? Hostin is your bought space on a server, where you keep all your information about the Website, like text’s, pictures, and the rest important things connected to your hosting services. The best way is to keep your domain name and hosting services at the same place. That is not always the case. Sometimes, you can have a domain name at one and hosting services at another place. If you chose to host your site at one place, it will be easier to do it with Accredited National Registrar. This one is also no because their strict laws still do not support anonymity, in which case your basic info will be visible. Keep in mind that for registering a .fi domain name you don’t need that much information, to begin with, so they will be visible, but it’s your basic info ( first and last name ). Do I have any grace period, after the expiration of my domain name? As their strict policy on who gets the domain name and who don’t, they sure are strict on rules when your domain name expires. So, you will be notified 45 days in advance that your domain name is about to expire. From then on, you will be notified every 10 – 15 days, in which time you can order renewal and ask your chosen registrar to send you an invoice. If, however you don’t want to renew your domain name, it will be in ‘Expired’ status for another 30 days after expiry, and then domain name gets ‘Available’ status. You will be notified 45 days in advance that your domain name is about to expire. From then on, you will be notified every 10 days, in which time you can order renewal and ask your chosen registrar to send you an invoice. So, the real grace period is about a month, but be sure to order/reorder your domain name renewal in time. Which Registry manages a .fi domain names? 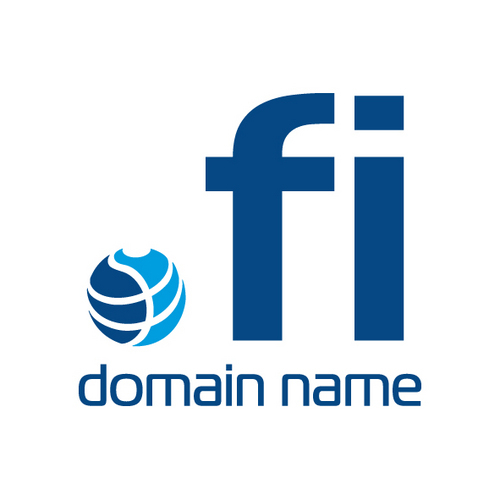 If you want to know more about a .fi domain names, you should visit their official site. The name of the organization that overview Finland domain names is FICORA, that is Finnland National Registry. Is it possible to place a backorder for a domain name you want? When choosing the provider to backorder domain name you want ( which is usually free, and should be most of the time ), the easiest way is to find a domain name in ‘Expired’ status, which will increase your chance of getting the domain name. Be careful, because some registrars charge you for the back-ordering even if you don’t get the domain name you wanted. If Backoredering, be sure to find a registrar that doesn’t need payment in advance, but upon you getting wanted domain name. Is Trademark 'must have' to register a .fi domain name? No, you don’t need to have a trademark to register a domain name in Finland, but you’ll be notified if some company already have the same domain name, and your request can be denied. And the last but not the least question is how much will all this cost me, and who gets the money in the end? Finland is the one that decides about the price of a domain name, and the money you’ll spend on buying a .fi domain name goes straight to FICORA. Any additional fees are added by the registrar you decide to be part of. Browse a bit, and find about great services for lowest prices.